Today I’m loving … this still life image. 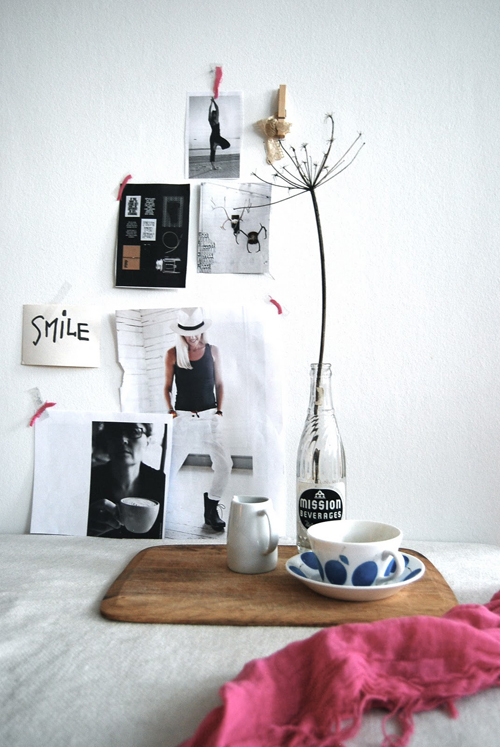 A cup of cup, a wooden plate and some inspiring images, that’s all. @Kalikratis: Yes, I am still under the influence of the cold weather in this part of the world. But I am longing for summer!